glo minerals is now Glo Skin Beauty. Your favorite glo minerals products are getting a makeover! Glo Skin Beauty is bringing the glo Professional brands together under one unique identity in order to focus on your favorite products. Glo Skin Beauty’s transformation embraces the brand’s comprehensive approach to beauty. Due to these changes, you may receive the new branded packaging or the classic packaging in your LovelySkin order. Both are the same great formula you know and love. Shop all Glo Skin Beauty products. 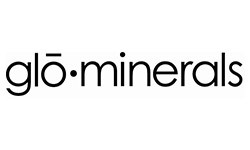 glo minerals was founded on the idea of creating a cosmetics brand that was uniquely designed for skin care professionals. The line utilizes the benefits of mineral pigments, which offer not only exceptional coverage, but also benefits for the health of skin. Each product is formulated with high quality natural minerals that create flawless color and coverage. All of the glo minerals formulas are non-comedogenic and talc-free, which means they are safe for even the most sensitive skin types. Anyone with rosacea, acne, eczema or other skin concerns can safely use these mineral formulas. The minerals offer UV protection that defends the complexion against UVA and UVB rays, which can cause skin cancer and signs of aging. Using minerals that are triple milled allows these products to apply seamlessly for natural yet complete coverage. The entire line is cruelty-free and they strive to ensure that no raw ingredients are tested on animals. glo minerals products are so gentle that they are even recommended for use after cosmetic procedures including facials, peels and laser treatments. Unlike many traditional makeup products, glo minerals formulas are non-occlusive on the skin. This means that skin is able to breathe while you are wearing the products. The formulas contain vitamins A, C and E plus green tea extract which provide antioxidant protection. Shop glo minerals products for makeup with flawless finishes and exceptional performance.